It would be boorish of me to reveal specific names. After eight years in L.A., I have no excuse not knowing the play-it-cool protocol when it comes to celebrities. I will say, however, that the client list includes at least one member of Ocean’s Eleven, and I am not talking about the Asian Cirque du Soleil guy here. I am talking about Asian hair though. There is not much variation from person to person, which partially explains the difficulty in telling us apart. Asian hair is virtually always like Usher: black, straight and fine. Poor Steph Curry wins the first unanimous MVP in history, and he has to go down on a porcupine to play some perimeter defense. It’s disrespectful. 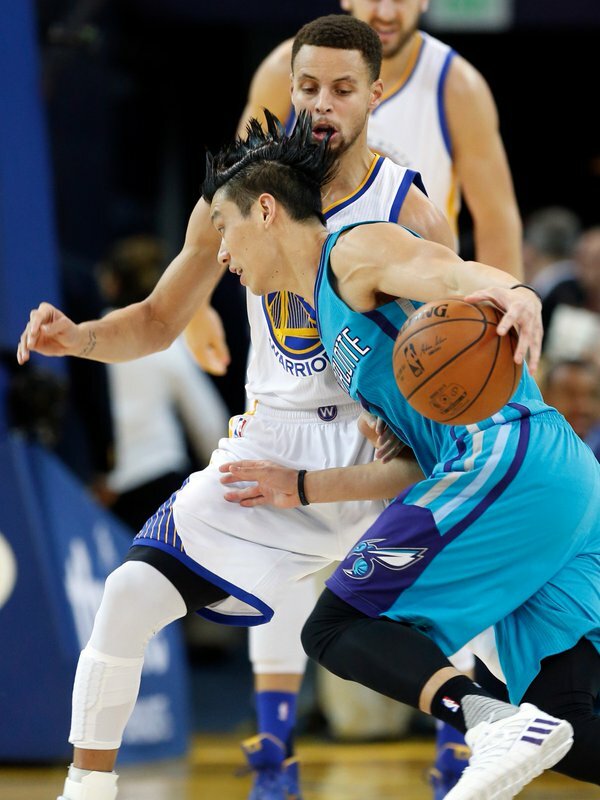 Just stick to the game plan, Jeremy Lin. My game plan might not be flashy — in fact, it’s been the subject of ridicule for the latter half of my adult life — but it works well. I get my hair cut at Fantastic Sams. For some reason, just mentioning the place elicits condescending amusement. I don’t understand what’s so funny. Do I look ugly? Maybe the average skill level of Fantastic Sams stylists falls somewhere between subpar and serviceable, but I don’t just show up and take the next one available anymore. I found an outlier, a major-league talent crushing Double-A ball. His name is Bob, although certainly not originally. He is ethnically ambiguous, vaguely resembling a Soviet bloc caricature with all the cacophonous mannerisms. Think 25% Borat, 25% immigrant store owner, 25% Communist-persecuted professor and 25% overzealous border patrolman. Bob might have mentioned he’s from Iran one time, but I’m not buying an explanation that simple. Every time Bob makes a jarring attempt at conversation, I feel like I’m being interrogated. With the same three questions, too: work, location of work, and residence. Depending on my mood, I sometimes pretend to fall asleep instantaneously upon being seated in a preemptive effort to ward off the awkwardness. Perhaps Bob made a deal with his Maker to transfer all social dexterity to his fingers. He cuts hair with an artistic efficiency recognized by many more than just me. Every time I sign in at the front desk, the sheet is pretty much “Bob” requests all the way down. This is no problem because he matches skill with speed. Often the two attributes counteract, but in Bob’s case, they feed off each other in a frenzy. I keep forgetting to time one of my haircuts. Anything over 7 minutes would be a shock to me. Bob once started and finished my haircut while waiting for the foil in a woman’s hair to set or whatever it’s supposed to do. I decline the shampooing portion, even though it’s included in the $17.95, to keep Bob’s completion time down. I want him to challenge his personal record every time with me. When you’re the best, you can only compete against yourself. Bob doesn’t know it, but I have surreptitiously put him up against other options in the market. I tried Floyd’s 99 Barbershop up the street, and an attractive female stylist did a commendable job. But lady, your good looks are independent of the task at hand and will not cloud my judgment. Bob was 10 bucks cheaper and 10 minutes faster. I went to Sport Clips around the corner for the same price, and the massage and ambience didn’t make up for the fact that I walked out of there looking like a Korean pop star pledging the all-Asian frat at UT. But it didn’t work for me, not even a little bit. Fifty bucks bought me an odd-looking haircut, long drive home, and comment from my fiancée that it made my head look like a potato. So Bob won by a wide margin and pushed me further toward the conclusion that there is never a compelling reason to pay more than $20 before tip for a haircut. However, a new contender costing triple as much will take a shot at the title June 21 at 5:30 p.m. I have never needed to schedule a haircut that far in advance with that much specificity. All I do is call Fantastic Sams the day of and ask if Bob is working. Not one time has the answer been no. On paper, Bob should breeze through this title defense. I have to plan a haircut as if it were a dentist appointment, drive to Venice to a guy who operates out of his house, and pay an amount of money that induces soul-searching questions: Whom am I trying to impress? Am I really that vain? Am I trying to take the attention off my face? That’s where the Ocean’s Eleven reference comes into play. Again, I’m not talking about the dude who played wide receiver in Varsity Blues, although I do like his hair. A bona fide Hollywood megastar — with full access to the world’s resources and a livelihood that to some degree depends on how he looks — chooses this haircut guru every time. People fly this guy out to places to teach workshops. Paul Mitchell himself was his mentor. I don’t roll in these kinds of circles. My other coworker provided the hookup, and she has the credibility with hair that reminds of those luxurious Vidal Sassoon commercials from my childhood. At the very least I must investigate whether $20 is indeed the point of diminishing returns for haircuts, or if a whole other tier exists that even Bob can’t touch. This preoccupation with hairstyling might seem incongruous with my ill-fitting wardrobe from the early-to-mid 2000s. The brown slip-on clown shoes I’m rocking these days with white gym socks are from senior year of college and approaching homeless condition. Whoever said “Shoes make the man” either worked for Nike or was stupid. Hair is so much more important. It’s attached to your head. Shoes are attached to your feet and only for part of the day. Why do people care so much about shoes? What social setting necessitates looking at the other person’s feet to the point where details matter? A different hairstyle, on the other hand, can entirely transform a person’s look. I once spotted a former NFL star quarterback dining with a fine lady at a bar while watching his alma mater’s football game. At one point, I started excitedly telling everyone that he switched girls at halftime. But my fiancée informed me it was the same girl, only with her hair down. This is what I want out of the Ocean’s Eleven haircut. Family and friends should be slow to recognize me, in a good way. Strangers should save my Facebook profile pic to their desktops under the caption “want but can’t have.” Otherwise I don’t see the point of going through all the trouble, and you can just leave Bob and me alone. Writer’s note: If you spend any amount of your finite time reading the absurdities in this blog, we are either friends or highly compatible strangers. Thus I feel close enough to ask for your email address below. The only email you will ever get from me is one blog post per month for the rest of my life, until you click Unsubscribe. Thank you.